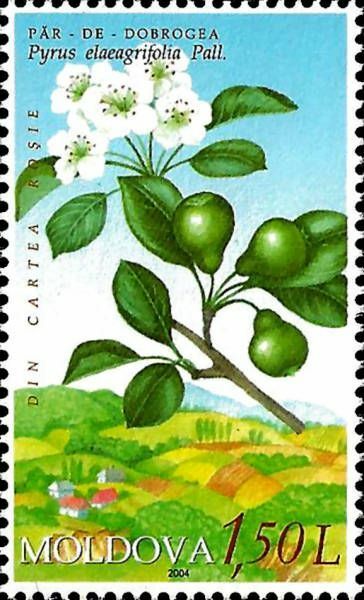 On 29 December 2004, the Post Office of Moldova (Poșta Moldovei) issued a series of postage stamps with the title The Red List of Moldova - Flora. Shrubs. The issue comprises four stamps, with associated cancellation (postmark) and first day cover (FDC). The designer was Simion Zamşa. The printing was performed by Tipografia Centrală, Chişinău. The IUCN Red List of Threatened Species (also known as the IUCN Red List or Red Data List), founded in 1964, is the world's most comprehensive inventory of the global conservation status of biological species. The International Union for the Conservation of Nature (IUCN) is the world's main authority on the conservation status of species. A series of Regional Red Lists are produced by countries or organizations, which assess the risk of extinction to species within a political management unit. Read more.. This article uses material from the Wikipedia article 'IUCN_Red_List', which is released under the Creative Commons Attribution-Share-Alike License 3.0. Ephedra distachya (syn. E. vulgaris) is a shrub in the family Ephedraceae, about 25 cm to 50 cm high, that grows in southern Europe and parts of western and central Asia. Its local names include somlatha. Read more.. 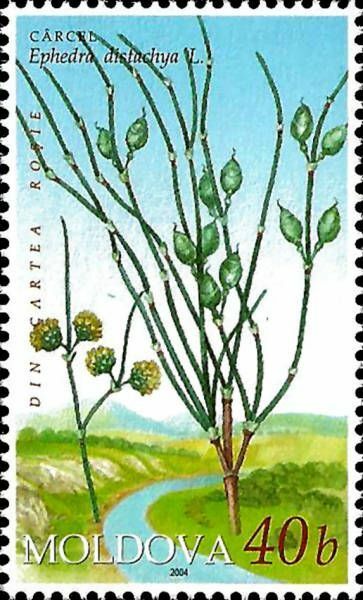 This article uses material from the Wikipedia article 'Ephedra_distachya', which is released under the Creative Commons Attribution-Share-Alike License 3.0. 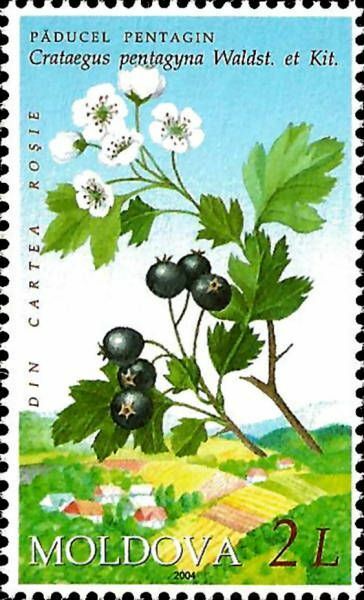 Crataegus pentagyna, also called small-flowered black hawthorn, is a species of hawthorn native to southeastern Europe. Two subspecies are recognized, C. p. subsp. pentagyna and C. p. subsp. pseudomelanocarpa. The fruit are usually black, but are sometimes a handsome purple. Read more.. This article uses material from the Wikipedia article 'Crataegus_pentagyna', which is released under the Creative Commons Attribution-Share-Alike License 3.0. 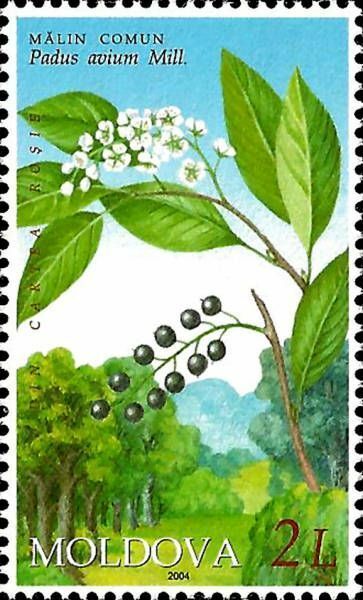 Prunus padus, known as Bird Cherry or Hackberry, is a species of cherry, native to northern Europe and northern Asia. It is a deciduous small tree or large shrub, 8–16 m tall, which grows south of the Arctic Circle in Norway, Sweden, Finland, Russia and Ukraine. There are also some trees in Great Britain, France, Spain, Portugal and in the Balkans. It is the type species of the subgenus Padus, which have flowers in racemes. Read more.. This article uses material from the Wikipedia article 'Prunus_padus', which is released under the Creative Commons Attribution-Share-Alike License 3.0.